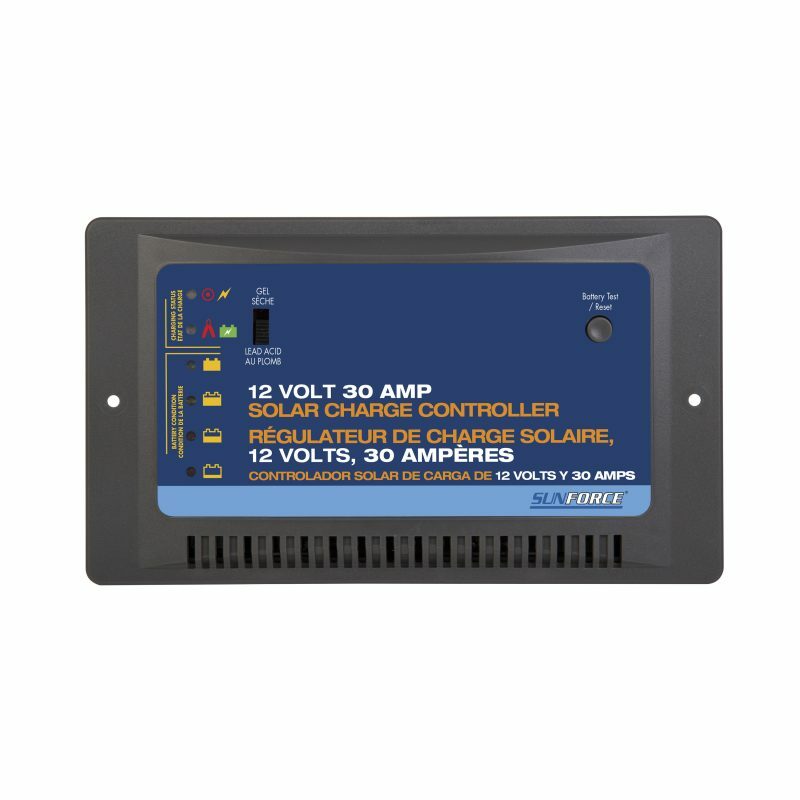 30 Amp, 12-Volt Solar Charge Controller - SunForce Products Inc. The Sunforce 30-Amp Solar Charge Controller handles up to 450 Watts of power from a 12-volt solar panel. 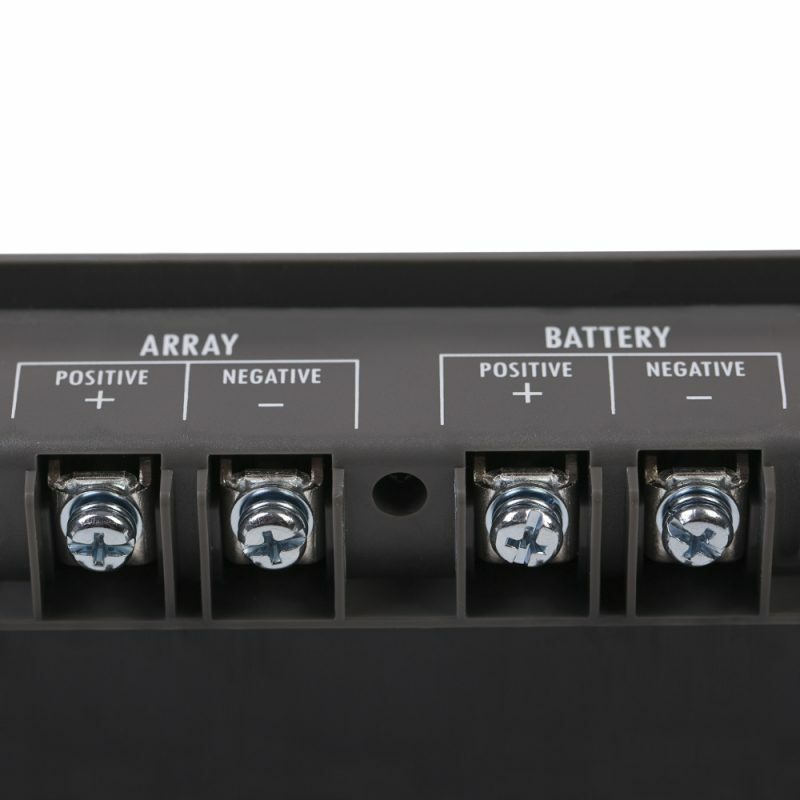 This controller prevents any overcharge of a 12-volt battery. LEDs indicate battery charge status. Can I use my battery when the 30-amp solar charge controller is connected? 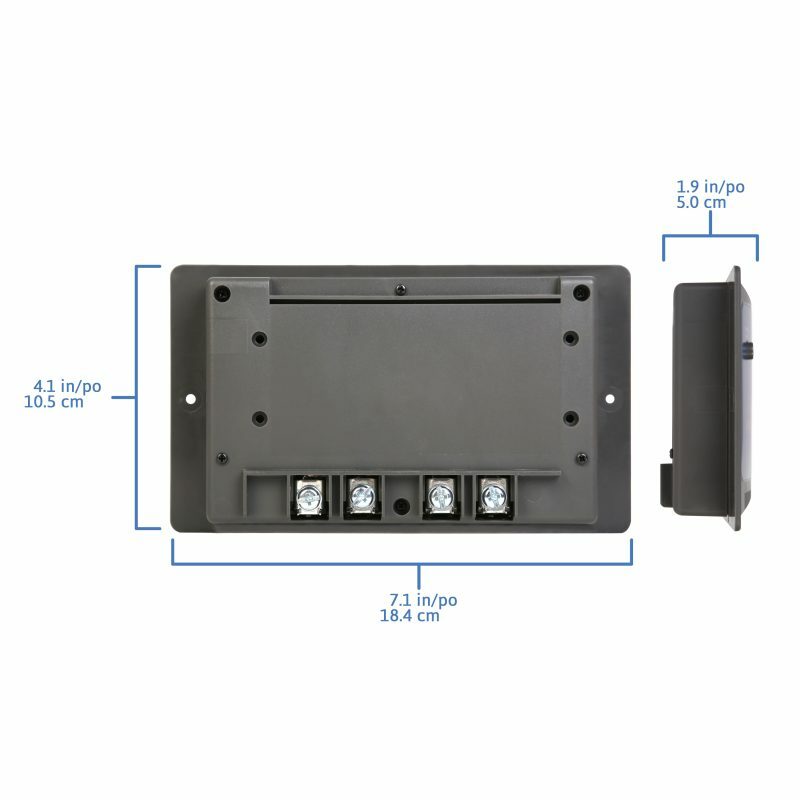 Yes, each solar charge controller has a blocking diode installed within the wiring to prevent reverse current. The 6 LED lights indicate charging status and battery conditions. 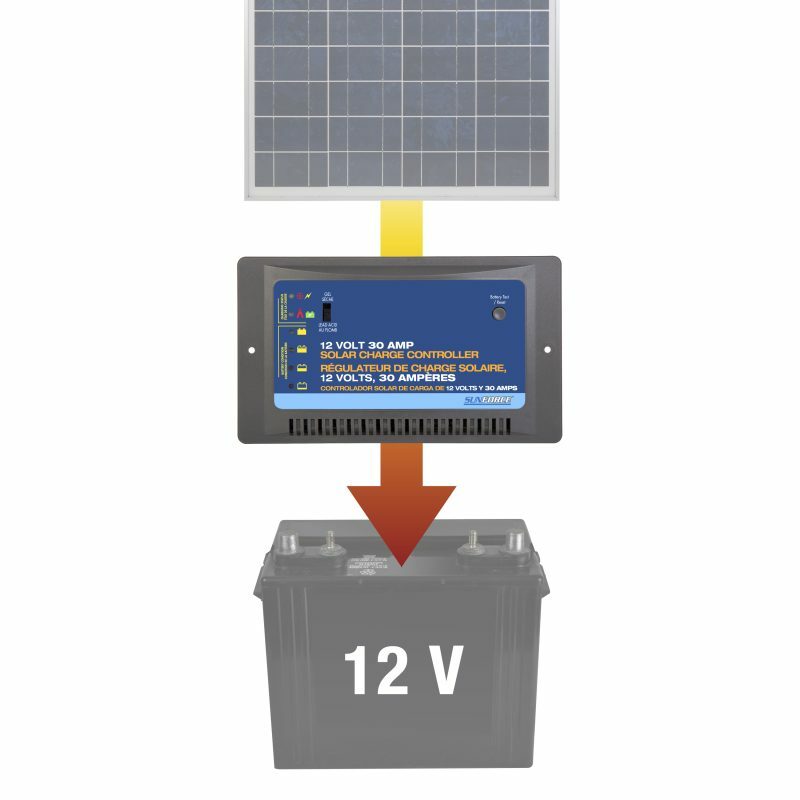 These functions are described below: Solar Power Indication (POWER LED-red) ON: Indicates solar panels have proper connection and solar power source supplied. OFF: No power available or insufficient voltage to active charge controller. Charging status (“CHARGING” LED-blue; “CHARGE COMPLETE” LED-green) CHARGING LED: ON indicates the battery is charging, virtually all the power from the solar array pass through to the battery. OFF indicates the solar panel voltage is too low (insufficient daylight). CHARGE COMPLETE LED: ON indicates full charge reached, a small “FLOAT” charge continues to optimize battery when needed. OFF indicates the full charge has not been completely reached. Battery conditions GOOD LED: ON indicates the battery voltage is over 12.5V, usually indicates when the unit is charging. FAIR LED: ON indicates the battery voltage is between 11.5 to 12.5V and needs charging. LOW LED: ON indicates the battery voltage is under 11.5V and needs charging. The LOW LED will be blinking if battery is not connected to the unit.